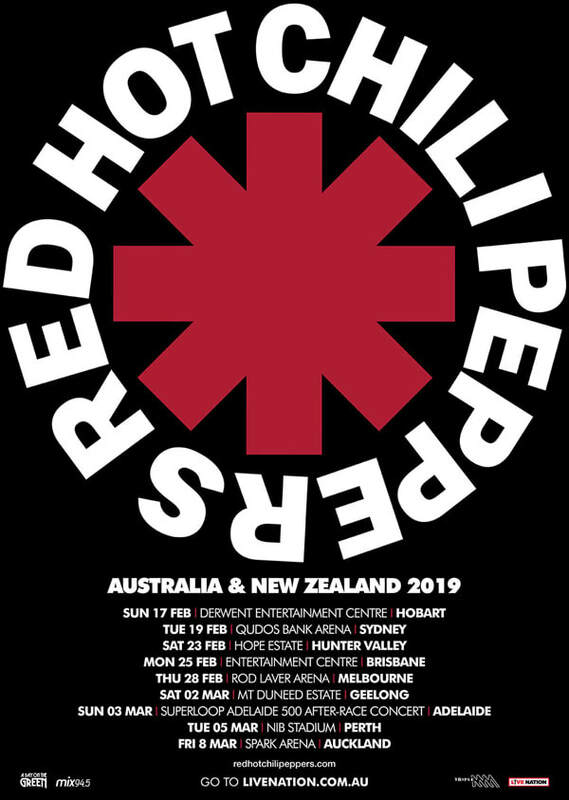 Red Hot Chili Peppers are thrilled to announce that they will make a long-overdue and highly-anticipated return Down Under in 2019. The band is expected to play a set comprising of a selection of tracks such as Dark Necessities lifted from their current and eleventh studio album, The Getaway, plus greatest hits and classic album tracks such as By the Way, Can’t Stop, Snow (Hey Oh), Otherside, Californication, Under The Bridge and Give It Away. American Express Card Members tickets on sale 10am Wednesday 21st November. Visit amexinvites.com.au for details.